OMG Posters! 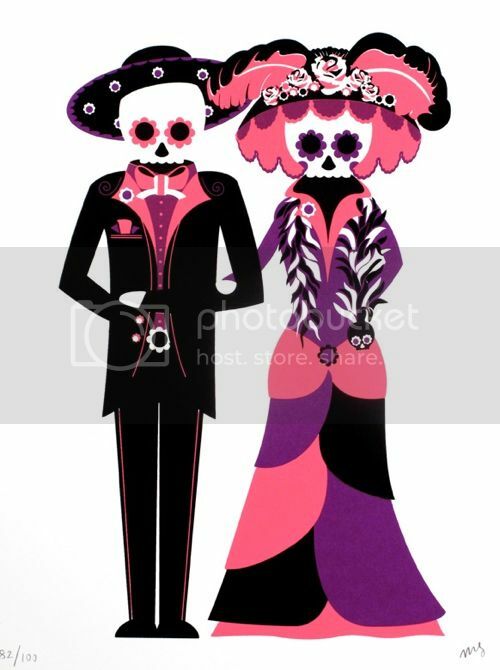 » Archive "Muertos Couple 2" Art print by Matt Goldman - OMG Posters! Poster Child Prints just put out this new art print by Studio Number One affiliate Matt Goldman, another perfect one for Halloween. “Muertos Couple 2″ is a 9″ x 12” screenprint, has an edition of 100, and is $35. Visit PosterChildPrints.com. Always have been a fan of his work. Great stuff.